← A media business model that works? Sharing extra with NPR. How’d ya do? WDUQ, Pittsburgh’s June “share the gift with NPR” pledge drive in Pittsburgh for WDUQ is over — how’d we do? We did well. Put into perspective, amazingly well. 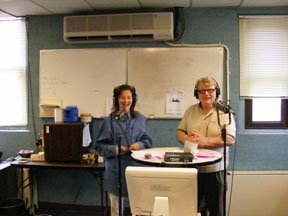 My public radio station held a pledge drive in June this year. We almost never hold a pledge drive in June. June is the month when high school kids are graduating, summer comes in full force to Pittsburgh, Kennywood is open and all is right with the world. Oh – and I neglected to mention — the Pittsburgh Penguins made it to the Stanley Cup Finals — second year in a row. All the games — in June, during the drive. It went to Game Seven, and, if you haven’t heard, they won. In a sports-happy place like Pittsburgh, having one of our teams in the playoffs is a really bad time to do a pledge drive. Even pledge drive hours during regular season Steelers’ games are quite disappointing. Scheduling the pledge drive around bye weeks becomes a major priority. So, June is one of the worst months for WDUQ to do a pledge drive. But it was the last month of a distressing fiscal year, so we had no choice. But this year was different. As noted in a previous post, WDUQ is facing a year-end deficit situation at the same time NPR is staring at a much larger (as a percentage of budget) deficit. In adding a June drive, we felt it wasn’t right to just plead for our own station’s well being. All the best planning, projections, investments and budgeting in the world couldn’t have seen the multiple levels of fallout from the bad financial and business activity for our station and especially for NPR. So, we invited listeners to forgo a thank you gift (mug, totebag, CD) and WDUQ would send the 10% of the pledge that usually pays for these “premiums” to NPR. Since most of WDUQ’s listeners don’t take a thank you gift, we knew we would forgo some revenue that we might have kept if we had just made it all about WDUQ. We’ll never know if it was the right choice financially. But it still seemed like the right thing to do. Our listeners wanted to hear from me, the General Manager, more than usual. 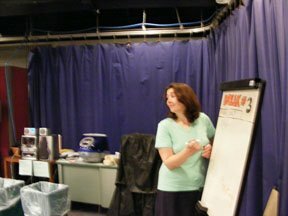 I was on the NPR board for six years, and I’ve been at WDUQ for 14 plus years during times of great change and growth. The high-level perspective, earnestness and transparency seemed to make the pledging more palatable. Despite all of the business plans and moneymaking ideas that were going to make pledge drives and maybe even federal support less important or even irrelevant, it was clear from this pledge drive that we are not in the “media business” the way our commercially driven colleagues are. It is about service, in the most sincere sense of that word. Those of us who work in public radio should stop saying that we don’t like pledge drives. We perform a valuable service, and, while proud of our work, should always be humbled by the support of our listeners and communities. Pledge is where we get to make the case. 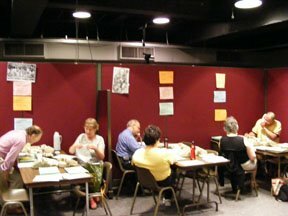 Back in 1995, when the future of public radio, public TV and the Corporation for Public Broadcasting (CPB) was put into doubt, many of us (myself included) searched for new ways to pay for what we do. A large endowment could, perhaps making national programming free for stations. Of course, no one foresaw the fairly noteworthy NPR endowment falling in value so much as to make it untouchable until the markets are revived. If wealthy people and foundations would support us in a way commensurate to our good works, we’d need much less money from the less well off. But the very wealthy and foundations are also subject to downturns in the economy. And our good works, while valued, are not always at the top of the priority list. Mostly on-air underwriting, but also monetizing of web content, re-purposing programming for other uses, display advertising on the Internet and more. There is a role in public media for this kind of creative revenue, but some of the best and brightest in commercial media are facing massive challenges in making these concepts consistently successful. There is also the idea of monetizing the value of our database of listeners and members – but balancing ethics and our mission with creating monetary value is a challenge. All the above strategies have a place or, at the very least, deserve testing by public radio as revenue streams. But there is no single “sliver bullet” that will make public radio sustainable or more reliable than the diverse base of funding that voluntary listener support provides. Those of us in or closely related to public radio, please get used to it. To our listeners and supporters, please understand that this humble appeal is a remarkable way to keep us transparent and honest in what we say and what we do as we ask for the help of you and others to sustain what we are and what we aspire to be. In a pledge drive of less than seven days, more than 2,600 people committed more than $205,000. For WDUQ, a very good total. We are still tallying our other June web and mail gifts to add to that total and share a portion with NPR. The dollar amount of our average gift dropped, but we have more new donors, and many extra gifts from current donors who recognized the need. The less than seven day pledge drive raised more than an 8 1/2 day drive in April and has gotten WDUQ very close to closing our budget gap for the fiscal year. We didn’t fundraise on three nights (due to the Penguins/Red Wings Stanley Cup Finals) or at all for one weekend. Less than 3% of our donors this month chose to take thank you gifts, instead of a more typical 40%. The economy will turn around. NPR’s finances will level out. Sponsorship and foundation gifts will rise, again. After June, WDUQ’s support of NPR will return to the formula for stations like ours. Since our audience has grown, those fees are rising. As we added an extra, major fundraising effort in a time when NPR was in even greater need, giving back while our listeners were giving more just seemed to be the right thing to do. 4 Responses to Sharing extra with NPR. How’d ya do? It would be interesting to see if you tried the "10% to NPR" during a normal pledge drive to determine if you saw any change in overall giving. In other words, would some give 10% MORE in order to give directly to NPR? Another similar approach.. seek your normal pledges to WDUQ and ask listeners to "tip" NPR. 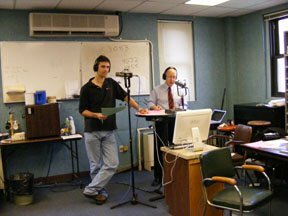 The intent of this special effort – and special June drive – was that this was an exceptionally rough time for both WDUQ and NPR. While we're not adverse to the concept of collaborative fundraising, this kind of unusual circumstance is probably not a "model" beyond the spirit of collaboration and shared destiny (which, I'll grant you, is a pretty big deal in and of itself). WDUQ's fees (under the revised "formula" for NPR programming) are at least 15% of the station's cash budget through a newer formula that is based mostly on listener hours from ratings, not our revenue. This newer program fee model has worked pretty well for NPR over the past nine years or so, as the network has had many years of surplus. A look at Guidestar.org or npr.org for the 990's will give you a glimpse of how well things seemed to be going. For WDUQ, the new model has been a bit more challenging. The station's NPR programming fees doubled in the first five years of this decade, while our income grew but not nearly as quickly. Many stations serving smaller audiences have seen their program fees go down over the decade – so the shifting among stations for their fees was meant to match up better with the actual service provided. Meanwhile, NPR's total station fee income was kept stable, increasing with the total audience growth over that time. WDUQ has never had state or local government money in our funding mix and our budget has always been smaller than most stations of a similar size. So, it's not like we've had a lot of extra money to begin with. The "realignment" of our NPR fees to reflect our audience size was difficult for WDUQ. But we managed. Move forward to 2009 and the economic downturn. It made things very tight for WDUQ and was even harder on NPR. The massive drop in national business support, the freeze on payouts from the endowment, etc, left NPR in a huge bind. It's not that WDUQ wasn't paying NPR enough – it's that NPR needed more. NPR is going to have to face challenges of right-sizing its activities to the likely revenue streams of the future, which should improve compared to 2009. But the future will not be easy to navigate as was previously thought, and no one really thought it was going to be easy to begin with. A 10% "tip" to bump up WDUQ's contribution to NPR's bottom line is an interesting concept, but I'm not sure what it would signify in "normal" times (if and when we see them, again). Putting on a "pledge surcharge" is not going to be enough, and in the long run, doesn't aim high enough for the potential for increasing the level of NPR and station collaboration. The spirit of collaboration between networks and stations (and stations with other stations) is going to have to become something we embrace more deeply. How to make it work? No one has figured that out yet. But that's for another blog post — and I'm sure many others have ideas, too. But for us, like I've said, given that we were doing a major ask for "more," it didn't seem right to make it all about just WDUQ.